It's not often you meet a true princess. 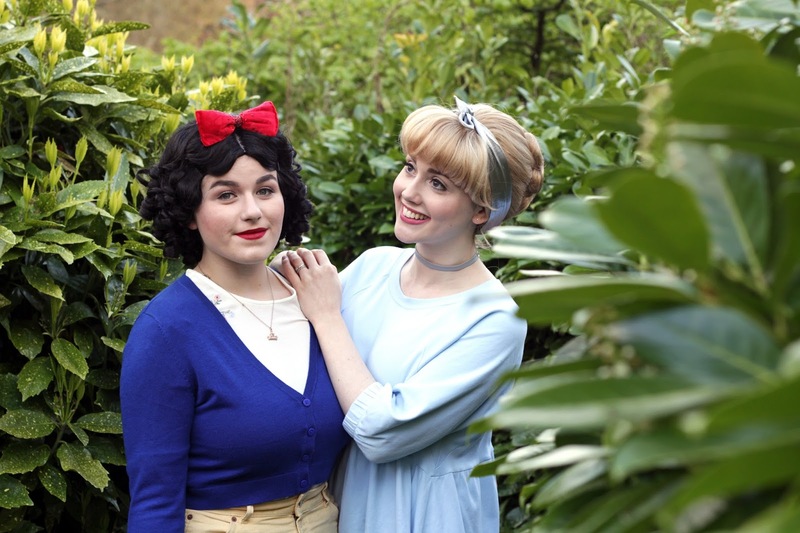 This week my dear friend Imogen came to Bath for a visit, and we marked the occasion by putting together casual outfits inspired by the two original Disney princesses; Cinderella and Snow White. 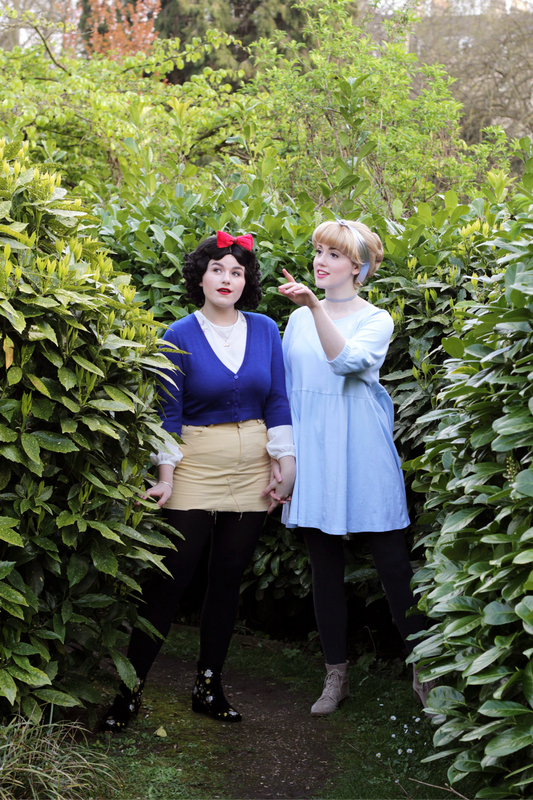 Those of you who follow me on social media will know that Disney costuming is a passion of mine, and I befriended Imogen through a Disney meet up at MCM London Comic Con. 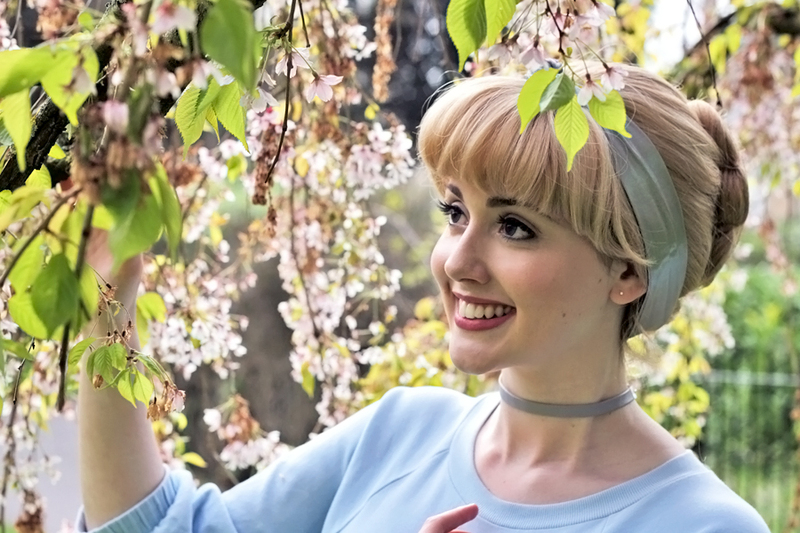 Disney and costumes are right at the heart of our friendship, however since Imogen was coming down for a relaxed visit we weren't in the mood for getting into full costume and wandering the streets in our princess gowns. 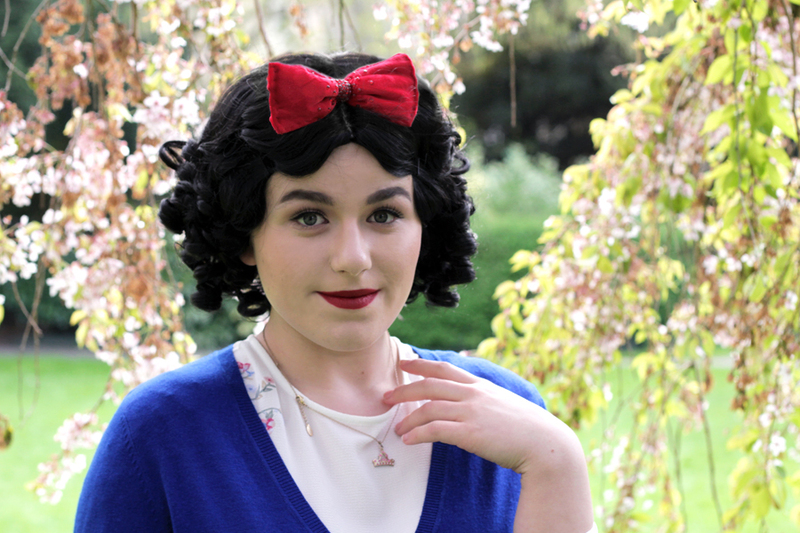 Pairing our wigs with 'Disneybound' style outfits was a more low key way to get some special photos celebrating our love for these characters (plus it meant I got to see Imogen's beautiful new Snow White wig for the first time). 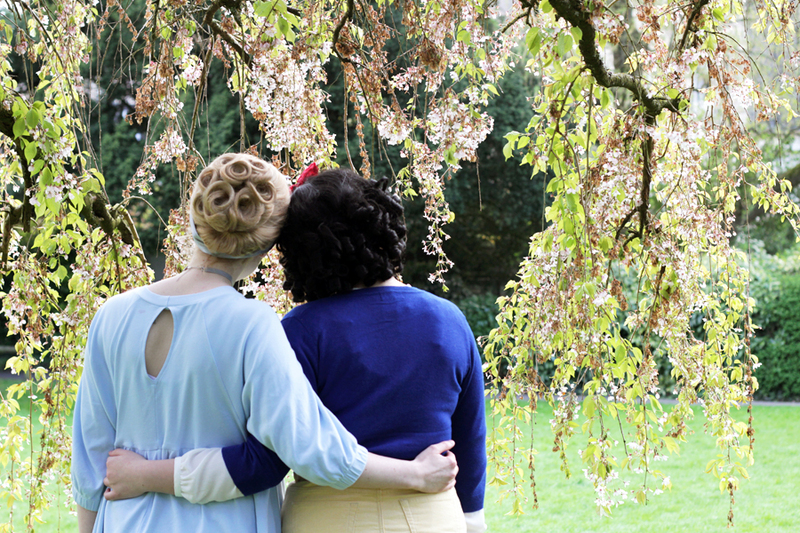 The two of us have a habit of cycling through pairings of the three classic Disney princesses - Snow White, Cinderella and Aurora - however this was the first time we'd brought out Cinderella and Snow together, so that was lovely to see. 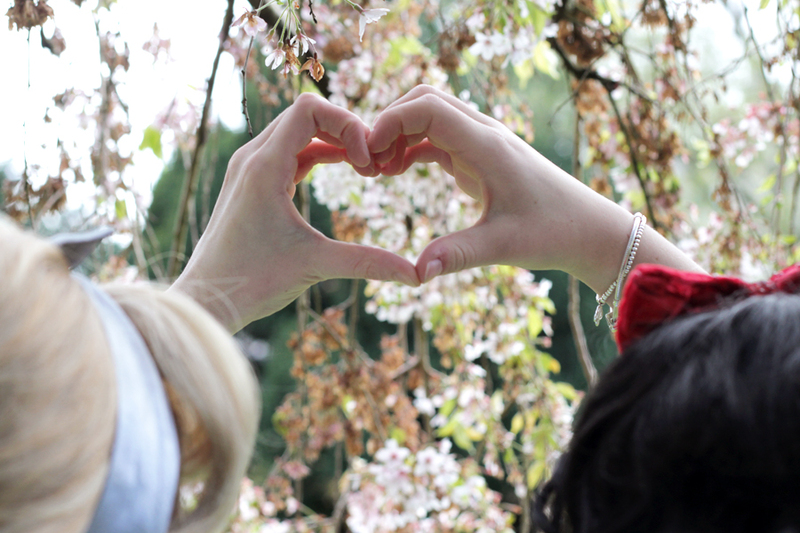 Imogen is the kind of person I love to surround myself with - she's creative, hardworking, honest and thoughtful. She's incredibly easy to talk to, and was the first person in the cosplay community who ever reached out to me. 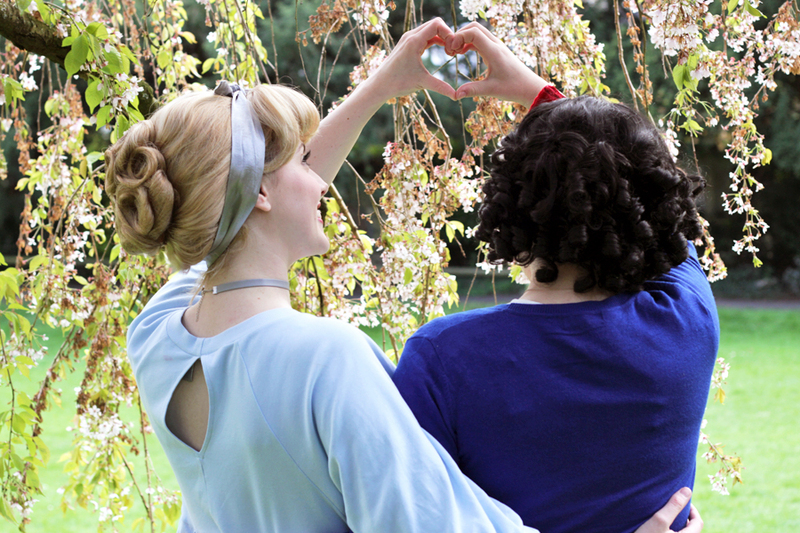 If it weren't for her, I likely wouldn't have met my wonderful circle of cosplay friends. For that I owe her a great deal. One reservation of mine about our upcoming move to Cornwall is that it will put a considerable amount of distance between myself and the vast majority of friends I have made through the London convention community. I know there is no shortage of kind, creative people in Cornwall, and I certainly don't intend on losing touch with the friends I've made, however the uncertainty is a little unsettling. I'll be honest and say I don't find socialising with people I don't know well easy in the slightest, however I'm hoping that if I explore creative avenues in our new area it will lead me to some kindred spirits. I'm a little scared, but it's good to be scared sometimes. Follow Imogen on Instagram at @imijean. So much fun & love! I always love your wigs so much, you style them so beautifully! Although I've always imagined Snow's as more of a soft 1930s wave. I can understand your worries moving back to Cornwall, I wish you all the best for it! I think the attitude with which you approach an obstacle is half the battle and I'm sure your plans will play out, it's obviously something you've given so much consideration to.